You are a kind, helpful and generous person. You think of others and are always there to take care of their needs. You genuinely love supporting people and making them happy, and you usually do it with a smile. Sometimes that smile feels like it’s plastered on. Sometimes it feels like too much. Sometimes, you’re not sure if you have anything left to give. But you hang on. You keep giving, because that’s what you do. That’s who you are. But you find yourself feeling more irritable, snapping at your partner over things that you usually take in stride. There’s a quiet resentment brewing as you wish someone would just read your mind and help you out. We have a complicated relationship with anger, don’t we? As women, we’re told we shouldn’t be angry. Sometimes we’re taught that it’s not a real emotion – it’s just masking something else, like sadness. At every turn, the world is trying to talk us out of our anger. And often, because it’s so uncomfortable, we’re trying to talk ourselves out of it too. 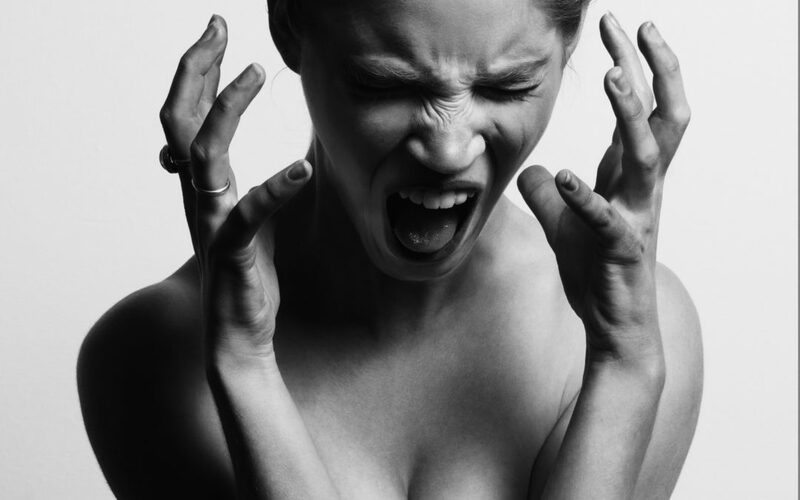 Irritability, anger and resentment are trying to tell you something. A boundary has been crossed. A need is going unmet. Something you’re expected to do feels out of integrity. Covering these feelings up or trying to push them away doesn’t solve the problem. Neither does lashing out. There’s still a boundary or a need asking for your attention. Your integrity continues to call. Our culture does not show us how to use anger wisely. We usually see people acting out in anger or even being abusive. We’ve demonized the emotion instead of considering how to leverage its wisdom. What am I really angry about? What’s the problem, and whose problem is it? How can I learn to express my anger without attacking or becoming defensive? What boundaries need to be honoured or restored? In general, whenever you’re feeling irritable, angry or resentful, it’s helpful to pause and ask yourself what you need. Anger is often triggered by superficial things when there’s something deeper going on. There’s a bigger theme asking for acknowledgement. Once you land on it, things often fall into place. I find that my answering the fourth question above (What boundaries need to be honoured or restored? ), I naturally find a sense of calm when I land on the truth. Then, I can go about tending to that boundary with care and compassion, and I’m far better able to express myself without attacking or lashing out. If this season is hitting you with #allthefeels, and you need to take some pressure off to make it through, sign up for Sweet Relief, my brief coaching package to give you practical strategies to navigate the season and soothe stress. Relief is right around the corner.